This Thanksgiving and throughout the holiday season, how can you be prepared to leave a legacy with your family? What Bible verses will aid you in sharing the hope that is within you? What can you do to live out those verses in front of your family? Why is what you think about God the most important thing about you? Read the Parable of the Prodigal Son in Luke 15:11-32. 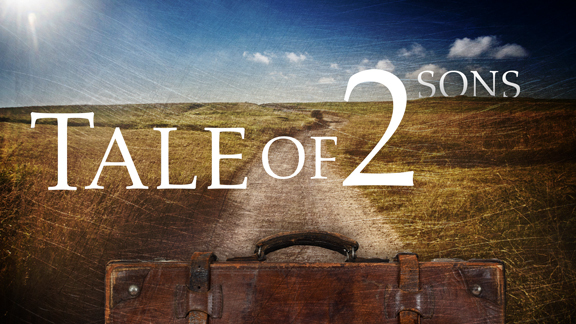 In this Tale of Two Sons, we learn how God treats sinners. JP talked about how God views rebellion, the results of rebellion, and repentance from rebellion. How have you rebelled against God? What were the results? Have you repented and turned to God? What did that look like? JP made the point that God will let you search for life apart from Him. Does that excite you or scare you? What has that search looked like in your life? Did you find happiness? Did that happiness last? Do you now understand that God lets us search for life apart from Him so that we will come to realize that life is found only in Him? Explain. Do you trust your Heavenly Father? Do you trust that He is good and that His plans for you are good? Read Luke 15:20 again. That is how our Heavenly Father responds to sinners . . . with compassion. God responds to your rebellion with compassion because He knows what you have done to yourself. Does this fact encourage you to repent and seek life only in God and His plan for you? If so, why? If not, why not? JP said that you know what someone values by what they celebrate. God celebrates repentance, and God knows how to celebrate! Where is repentance needed in your life today? Is there a sin or blind spot that you need to confess? How can your Community Group help you repent? Will you do that right now? What steps will you take to once again walk in obedience to God’s plans for your life? Click here to check out the video played in today’s service as well additional resources to help you handle conflict with family members this holiday seasons. The post Discussion Questions: November, 23 2014 appeared first on Watermark Community Church Blog.